"The performances clearly show an orchestra in superb form." "If the Saint-Saëns is good, the Ravel is excellent. 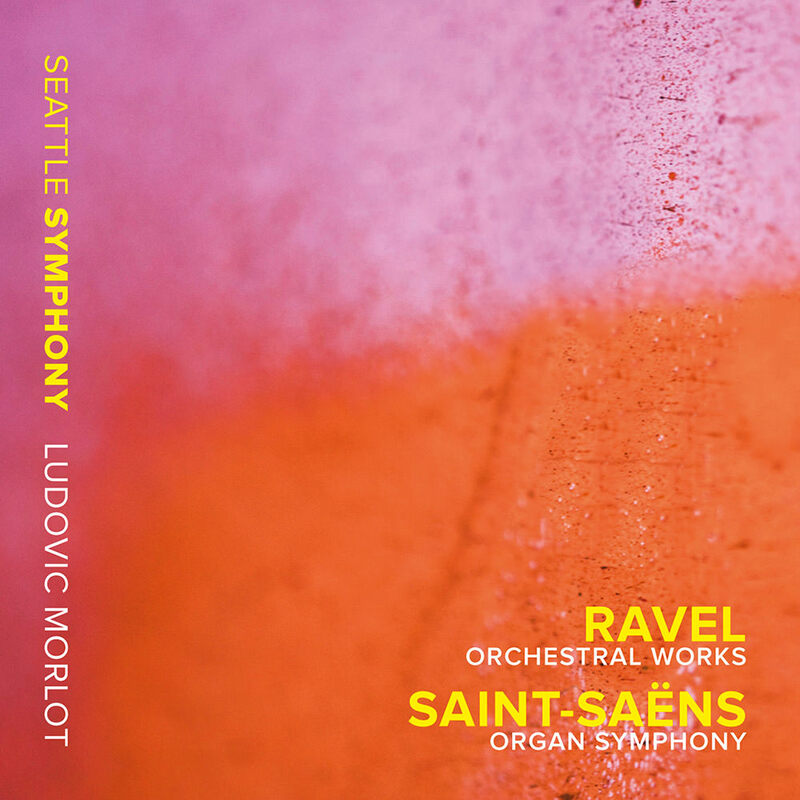 Fully attuned to the atmosphere and color of these oft-played works, Morlot cultivates a genuine French sound ... the Seattle Symphony has always played this music well, and it's wonderful to see them take the reins and make a major statement ..."
A live recording of three of Ravel’s best loved orchestral works performed by the Seattle Symphony Orchestra conducted by Ludovic Morlot. This 2014 album also includes an electrifying performance of Saint-Saëns’s Organ Symphony, showcasing Benaroya Hall’s 4,489-pipe Watjen organ, one of the finest concert organs in the US. The repertoire is a tribute to Morlot’s French heritage. The recording has been engineered to audiophile standards, to capture as realistically as possible the sound of the orchestra performing on the acoustically superb Benaroya Hall stage, with naturalistic imaging, depth of field and dynamic range. Recorded live in concert at the S. Mark Taper Foundation Auditorium, Benaroya Hall, Seattle, Washington, on September 19–21, 2013 (Ravel), and June 27–30, 2013 (Saint-Saëns). Saint-Saëns’ Symphony No. 3 was performed on the 4,489-pipe Watjen Concert Organ.